. . . where all other things are always set aside so you can work well, makes a big difference. It doesn't have to be an entire room. It can even be just one specific place in a bedroom or living room . . . just so that it is always the same. Decorate it! Make it special! Make it a fun place to go! Make the place sing! Even More Posters Available at Our Poster Page! 1/4" output jack—cable included. Aux In jack. Volume control. Upper-left and 2 lower bouts. Bow sold separately. 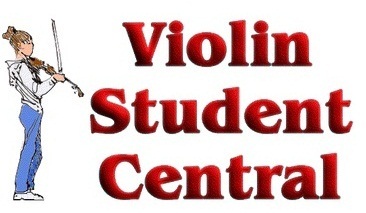 Set Aside a Place to Play Violin! It's Worth It!